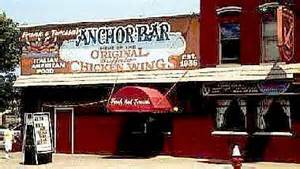 This is the original spicy Buffalo chicken wings recipe from the Anchor Bar in Buffalo, NY. You can adjust the heat by adding more or less cayenne and Tabasco. 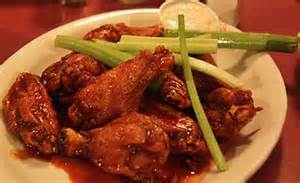 There are many Buffalo chicken wing recipes out there, but if you want to taste the “real” thing give this a try. The chicken wings are deep-fried in the original recipe, but the hot oven works fine for the home version. This entry was posted in Places to eat, Recipes. Bookmark the permalink. Pingback: Crazy Calgary Wings | What's On the Stove?